the world's most exciting harness racing. Pennsylvania is front and center in the world of harness racing. 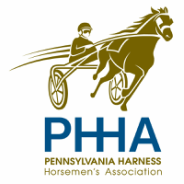 At the Pennsylvania Harness Horsemen's Association, we want to make it easy for members of the media to cover all of the excitement. Our Press Club is dedicated to providing you with full access to our staff, as well as concierge service to help you navigate the world of Pennsylvania racing and find the right information and contacts efficiently. If you would like to become a member of the PHHA Press Club, please contact us and we will immediately add you to our press release distribution list. Once you are an accredited member, you will be provided with contact information so that you can receive, upon request, photos, video, presser and speech transcripts, sales and marketing materials, promotional event information, and more.